While many of the benefits to successful automation are obvious, most of the costs and pitfalls are hidden. 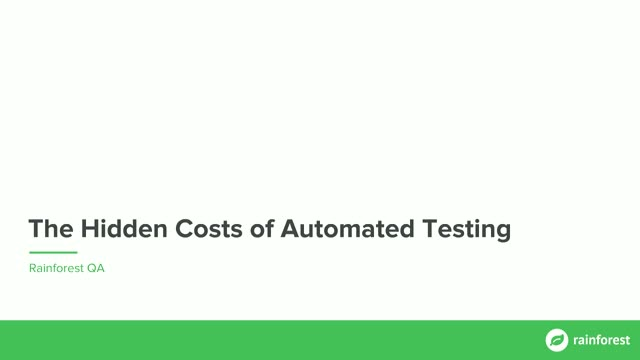 When evaluating whether or not automation is right for you, it’s critical to look at the total cost of ownership. Quality Assurance is one of the few parts of building software that is not always better, faster or stronger without humans.